When will be Sailor Moon next episode air date? Is Sailor Moon renewed or cancelled? Where to countdown Sailor Moon air dates? Is Sailor Moon worth watching? Sailor Moon is about Serena, a teenager who lives in Tokyo. She lived on the Moon Kingdom and was sent to Earth for protection. As evil rises, she and four of her friends must transform into the Sailor Scouts and save Earth, and the Universe. Soon 4 more scouts appeared. 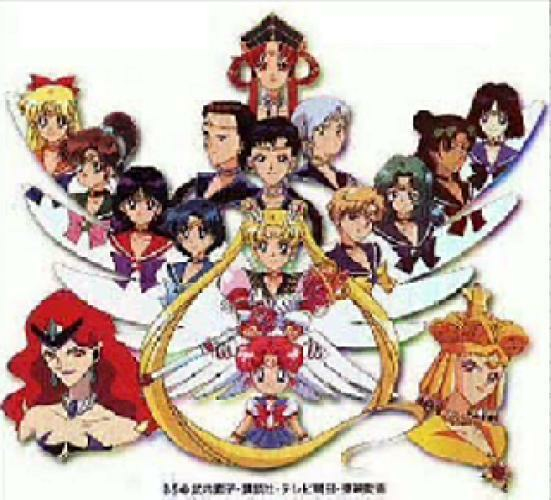 3 of which do not like working with the others, and the last Sailor Scout apears at the end of S.
Sailor Moon is the North American dub of the Japanese anime "Bishôjo senshi Sailor Moon". Sailor Moon was originally a Japanese comic(manga), spun off from the comic: Codename wa Sailor V. [Codename: Sailor V]It was then turned into the anime we watch today! She is the one named Sailor Moon. She will always be there to defend. She is the one of whom you could depend. She is the one, Sailor Moon! EpisoDate.com is your TV show guide to Countdown Sailor Moon Episode Air Dates and to stay in touch with Sailor Moon next episode Air Date and your others favorite TV Shows. Add the shows you like to a "Watchlist" and let the site take it from there.